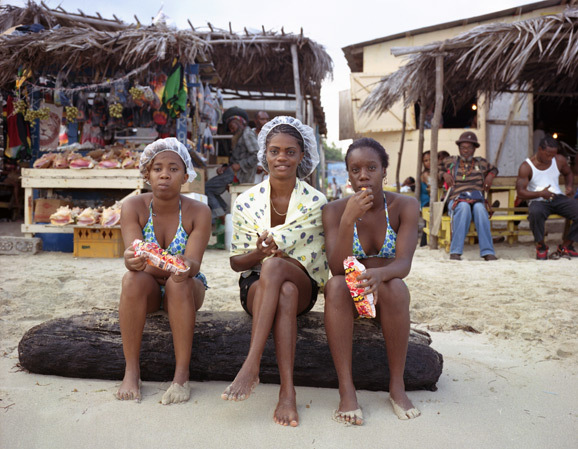 GOOD magazine’s Picture Show blog features Brooklyn-based photographer Caroll Taveras, who traveled to Kingston, Jamaica, on assignments for both the Guardian and Culture + Travel. Taveras says on all her jobs she tries to do something for herself – outside of the assignment, and so these pictures capture the locals as they live. On a side note, Taveras runs Photo Studio, a nonprofit devoted to documenting communities around the world. In January and February she launched a $5 portrait project where she offered a 4.5″ Polaroid photo for $5, with the option of upgrading to an 8×10 for $20. She plans to bring it to Berlin this spring. See some of the portraits here. Read and see more at Picture Show.